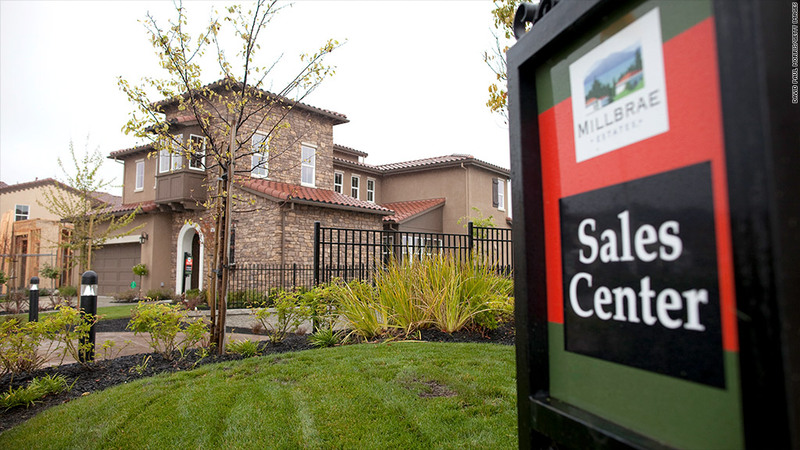 New home sales up in the latest sign of a housing recovery. New-home sales edged higher in March, the latest sign that the housing recovery is here to stay. New homes sold at an annual pace of 417,000 in the month, a gain of only 1.5% rise from February but an 18.5% jump compared to a year earlier. The supply of new homes on the market remained relatively tight, as only a 4.4 month supply of homes are available at the current sales pace. Recent months have seen improvement in a number of market fundamentals that have lead to a recovery in housing. Those factors include a drop in foreclosures, near record-low mortgage rates, rising home prices and a drop in unemployment. All are helping to bring more buyers back into the market. The recovery in housing also has led to a rebound in home building. But despite the multiple signs of renewed strength in the real estate market, a report Monday on previously-owned homes sales showed a slight drop in sales in March. The sale of new homes is typically considered more important for economic growth than the larger market for existing homes. Beyond the construction workers needed to build the homes, new-home sales help drive economic growth by prompting new owners to buy everything from appliances and carpeting to other large-ticket items. The new home sales report is also somewhat more forward looking than the existing-home sales reading, since it tracks the sales at the time a contract is signed, rather than when the sale is closed. Despite the improvement in new home sales, current demand is still well below the sales levels of the housing bubble years. More than 1 million new homes were sold each year between 2003 and 2006. The recovery in housing has lifted the shares of the nation's leading builders, as KB Home (KBH), D.R. Horton (DHI), PulteGroup (PHM), Toll Brothers (TOL) and Lennar (LEN) were all up about 5% or more Tuesday following the report.